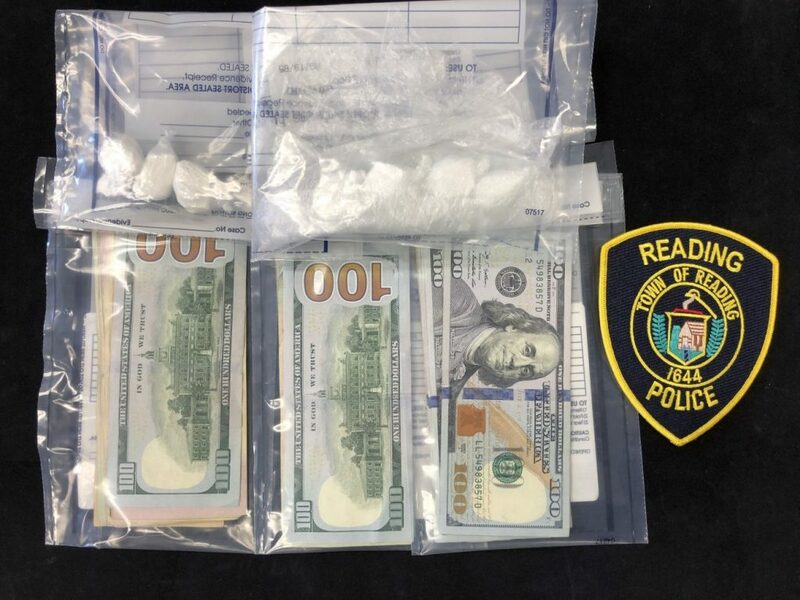 Reading, MA — Chief Mark D. Segalla reports that the Reading Police Department arrested two men after an investigation by Reading Police Detectives into an alleged drug deal near the Reading American Legion Hall. As a result of diligent detective work by Reading Police, with the assistance of a regional task force, LUIS D. DELGADO, AGE 32, OF ROXBURY was arrested and charged with Distribution of a Class B Substance (Cocaine) minutes after detectives observed a drug transaction. His alleged customer, EVERETT F. RIKEMAN, AGE 58, OF LYNNFIELD was arrested and charged with Possession of a Class B Substance (Cocaine) with Intent to Distribute. Earlier this month, a Reading Police Detective gathered intelligence that indicated a patron of the American Legion Hall (37 Ash St.) was regularly meeting another man in the parking lot of the hall to purchase drugs. An investigation was launched with the assistance of members of the Southern Middlesex Regional Drug Task Force, made up of police from several cities and towns who work jointly on drug cases. On Thursday, at approximately 3:20 p.m., detectives working the case observed an alleged drug transaction take place. A Chevrolet Malibu pulled into the American Legion parking lot and an older male exited the hall, approached the Malibu, and then walked away with a brown bag in his hands. Detectives closed in and arrested the driver of the Malibu, identified as DELGADO. The alleged customer, RIKEMAN, attempted to flee on foot but was soon captured by officers. Police recovered 10 grams of cocaine from RIKEMAN and more than 20 grams after a search of DELGADO’S vehicle. A total of $1,300 in cash was also seized. Both men were held pending arraignment in Woburn District Court.